and then see the synchronized lightning bugs! 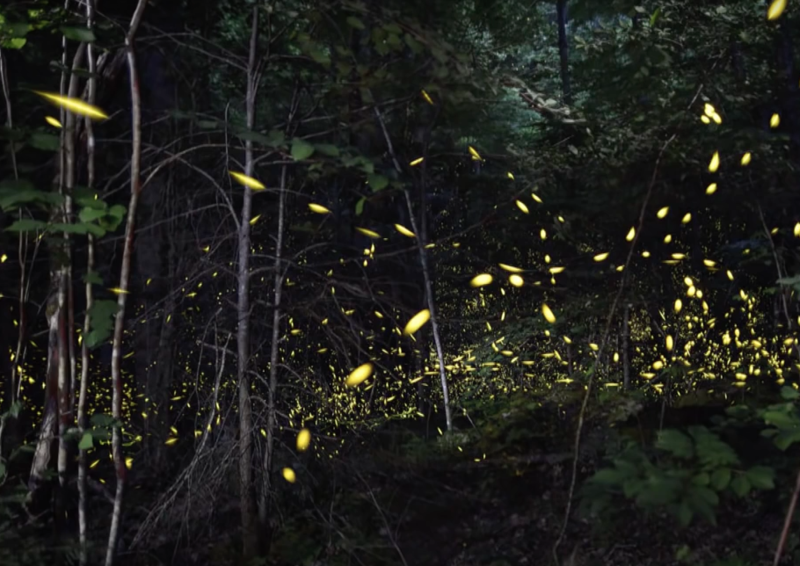 The synchronized lightning bugs is one of the most unique adventures in the world! Enjoy the convenience of our guide service preparing all the logistics for a fabulous evening in the mountains. Indulge in cocktails, appetizers, and dinner with your group all inside a beautiful historic home within the Great Smoky Mountains National Park. As we anticipate the darkness, one of the SMG staff will explain the significance of this phenomenon. Want to see more? Check out this video of the lightning bugs in action or read about them here! Please remember, this is a natural event and SMG has no control over the lightning bugs producing a show each evening.